How much does it cost to make each bath bomb cupcake? 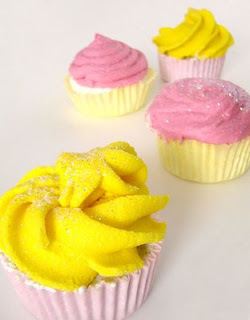 Recently, a blog commenter asked great question about these bath bomb cupcakes and pricing them effectively. I’ve gone through and priced out all the materials either from Bramble Berry, or if we don’t carry it (bulk Cream of Tatar for example), priced from Amazon.com or your local Cash and Carry. Meringue 10 lbs $65.00 .40625/oz. The total is $24.11 or right around $1 in ingredients for the bath bomb cupcakes. I can make the entire recipe in about 1 hour total (including set up and clean up). Assuming I value my time at $28 per hour, this adds another $1.16 per cupcake bringing the total for the bath bomb cupcake to $2.16 with labor and ingredients. Assuming your overhead allocation rate (This is a fancy term that means you figure out your total overhead and divide by the number of units you make every year and then add this small figure to the total) runs under $.10 per cupcake and the wrapping ends up being $.50 or less (hang tag $.05, bag $.07, ribbon $.03) the total for your bath bomb cupcake is well under $2.75 with your overhead totally worked in. Assuming you wholesale the cuppies for $3.00, that is a 8.3% pre-tax net profit on each cupcake. You could make that 8.3% grow to 25% if you outsourced your labor to a $8/hour employee. 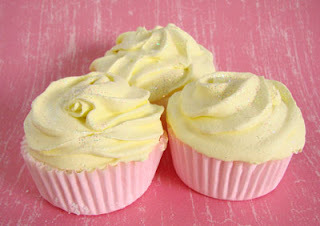 And, if you sold these for the going retail rate of $7-$8 per cupcake bath fizzy? Over 100% net profit rate. 8.3% – 25% net profit on a product is adequate (8.3%) to wow! (25%) and 100% net profit is a triple wow! wow! wow! Is there anything I can replace the SLS with, since I'm trying to be SLS free? (I'm so new at this stuff.) Thanks. Excellent post – unfortunately, in the EU, you cannot sell (or even give away) any products that are "food like" for fear of someone (especially children) choking or eating something that will make them ill. If you do, you become liable for a large fine and/or imprisonment!!! It's a pity because these would sell SO well. SoapWoman, The hardest thing for me is to delegate because I always am like 'But, if I do it, it's FREE!' But the reality is that I am a much better resource to Bramble Berry marketing, designing new products and interacting with vendors than I am by packing boxes. Play to whatever your strengths are and then hire out the rest as you can. It will help you grow much more quickly than if you try to do everything alone. Thanks for the breakdown. I see some components I am not considering when pricing/calculating cost. Very helpful information. You are wonderful and I am grateful for this useful info. I will study and apply this info.